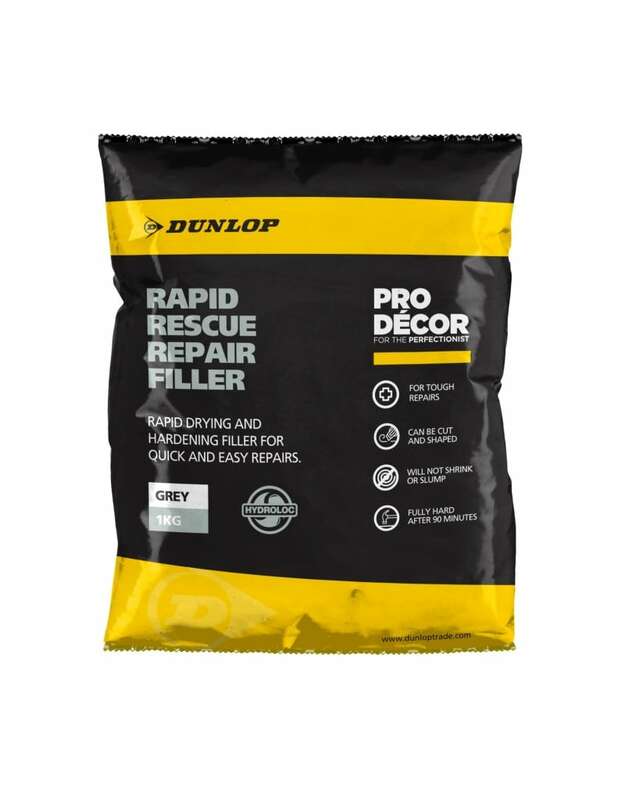 Drying in only 90mins whatever the temperature or conditions, Dunlop Rapid Rescue Repair Filler with Hydroloc™ is the newest addition to Dunlop’s Pro Décor range of high performance fillers and wall smoothers. Available in handy 1kg bags, Rapid Rescue is perfect for filling chases, cracks around doors and coving, large cracks and holes. It can be used internally or externally, on the majority of backgrounds from plasterboard to concrete steps, to reliably fill and repair damage up to 50mm deep. Once dry and hard, Rapid Rescue can be sanded down, but you can also simply smooth it over with a damp sponge to achieve a perfect finish due to its super-fine formulation.